Mmmm! So, you seek cufflinks! Find them here, you will. 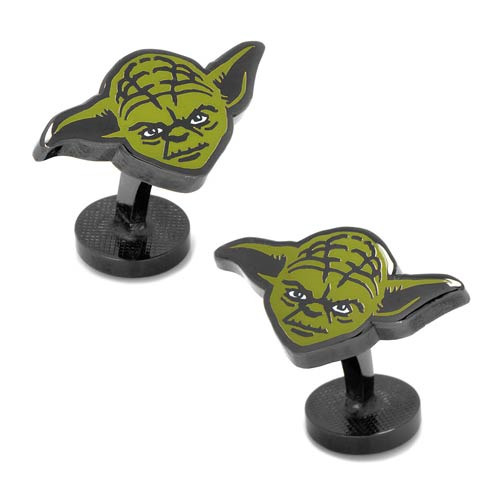 The Star Wars Yoda Cufflinks - very stylish, they are. Measure approximately 1-inch wide x 5/8-inches tall they do. Made from black plated base metal and enamel with fixed logo back closure. Officially licensed by Lucasfilm.